Imagine sunning in the yard or staying cool by the pool. 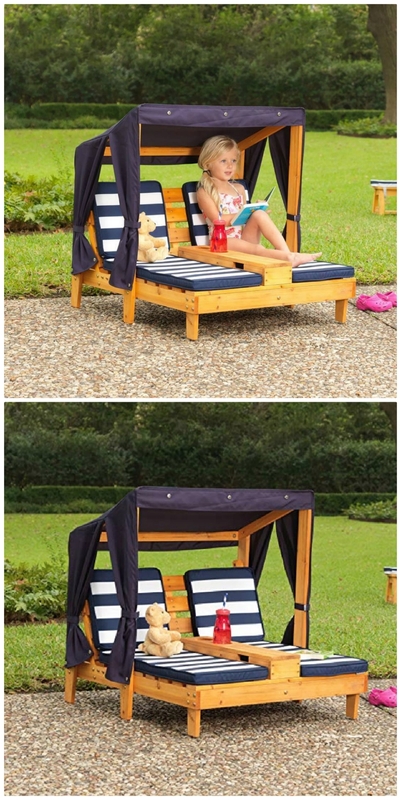 The kids will love this cuter than cute outdoor chaise lounge and it’s the ideal gift. Get yours ordered today. Everything is cuter when it is in mini-size and this kids outdoor double chaise lounge is no exception. It has a cute canopy to keep them shaded too. Get the details here.